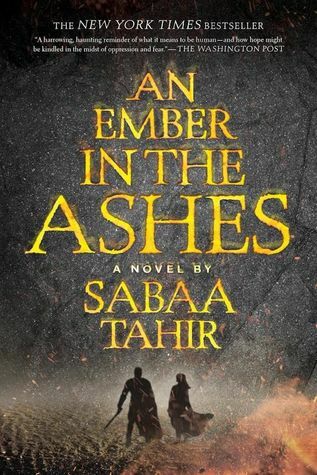 As the first book in a series, An Ember in the Ashes is an intriguing tale of danger, loyalty, and fledgling love told from dual points of view. Laia is an orphaned descendant of scholars, who are a conquered people subject to the rule of the empire, and Elias is a Mask, one of the soldiers whose life purpose is to protect the empire. Even though they have very different backgrounds and end-goals, they both hate the empire but are forced to hide this hatred for fear of death and/or retribution on those they love. The main villain, the Commandant, is also well-developed, although her motivation and WHY she’s so evil isn’t ever fully fleshed out. Perhaps that will be addressed in future books. I loved Tahir’s story immensely and stayed up well past midnight to finish it, because I couldn’t put it down. The first several lines were jaw-droppers and immediately pulled me in. The characters are well-developed and motivated, and the world-building is pretty good. The romance(s) seem a little forced, but it/they work well. My only hangup is that there is a lot of telling rather than showing, or in non-writer terms, there just isn’t much description to the world Tahir has created. The focus of the story is more on Laia’s and Elias’s inner turmoil and dialogue, which I guess it should be, but the story doesn’t have that special magical touch of descriptive voice that a story like this begs for. I’m not big on superfluous description, but I’d have loved to have been pulled in a little more to this desert world full of mysticism and color and magic. All in all, I definitely look forward to reading the sequel and give this book 4.5/5 Stars.